Since 2007 Funfishers has provided Early Years childcare for children under 5. In 2014 we expanded our provision to incorporate care for children from aged 9 months in our new purpose build baby and toddler room. 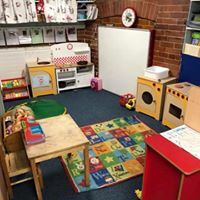 We offer parents a flexible half termly booking service and also offer funded places through the City of York Council 2 year old funding and 3-4 year old government funding including the new 30 hour role out. Highly qualified Early Years Practitioners work across the setting to provide an enriching and safe environment for the children to learn and develop through play. Resources are provided to stimulate the children’s interests and enhanced to build knowledge and learning through exploration and enjoyment. 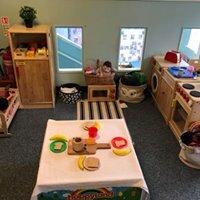 Provision areas are provided in accordance with the EYFS guidelines and the 7 areas of learning, each area encourages the children to be imaginative, investigate the world around them, engage in discussions and become enthusiastic learners whilst enjoying and achieving through the characteristics of effective learning. All of these opportunities inspire the children’s natural curiosity and makes them a unique child. Outside we provide a stimulating environment with a wide range of resources offering challenging physical learning experiences. Areas of provision encourage the development of skills such as balancing, coordination, gross motor control, exploration and imagination. Outdoor play is a vital part of our environment which is reinforced through forest school sessions using natural open ended resources to enhance skills further. 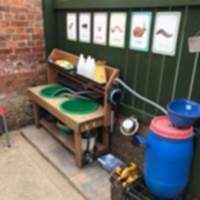 Within the forest school site we have a vegetable plot where the children learn to plant and care for vegetables which we then eat as part of a healthy balanced diet. Each child has a key person who supports and guides them through their journey of learning and development, observing their interests, enhancing their learning and assessing their progress. 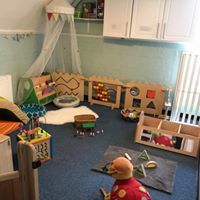 From the beginning of the child’s journey with us the key person will support them in settling in, to feel safe and secure and build a relationship with the family to provide continuity of care and stability for the child. Over the time that a child attends the setting, Practitioners contribute towards a learning journey for each individual child. 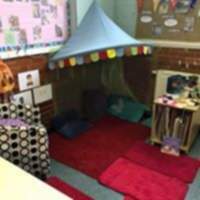 As a setting we use tapestry to document observations, photographs, videos and assessments of children who access the baby, toddler or pre-school rooms. This is an effective way for us to show you, as parent/carers, what your child is learning whilst at the setting and for you to form strong links with us by adding comments to what you see and by adding your own photos and descriptions of special memories you have made as a family. 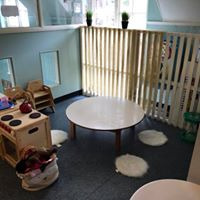 An enriching environment where children aged 9months to 2 years learn through play, forming relationships with adults and children, developing language for communication and enhancing physical skills. An enriching environment where children aged 2-3years learn and develop through child led play. Provision is provided according to the interests of the children and enhanced by adult interactions. 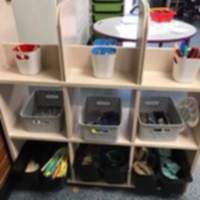 A free flow environment promoting child led play using stimulating resources to enhance learning and development, challenge knowledge, skills and support school readiness in a safe and inspiring way. 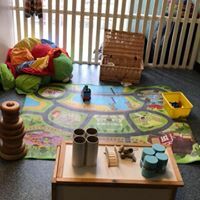 We offer flexible settling in sessions for all children before they begin attending the setting, these can be tailored to suit the needs of the individual child. Please speak to a member of staff for further information.